Separating the Northern Line stations on the Morden branch, and finding something unique to say about each one, can be quite challenging. So far we’ve gotten away with not talking about the architecture on this branch – and we’ll continue to save that for a later today. At platform level the station is a near identical copy of Clapham South (044) and at street level, a remodelled Holden is, on this occasion, nothing to write home about. Thankfully Clapham North‘s saving unique grace is its ticket hall, which has been turned into an oasis of greenery and plants. 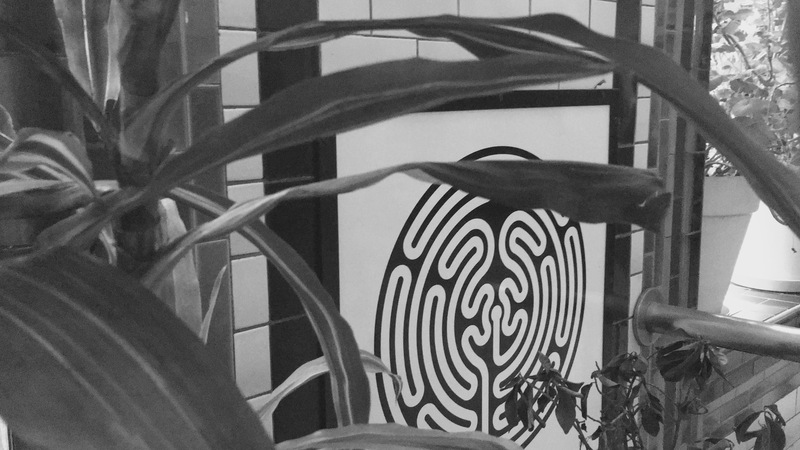 Here we see a Mark Wallinger Labyrinth hiding amongst the shrubbery.